The Al-Jazeera pan-Arab satellite channel says it will begin airing a Balkans programme in September, hoping to to establish itself as a regional news hub in the ethnically divided region. With powerful public television divided along ethnic lines across the region and dozens of private channels mostly focusing on entertainment, Al-Jazeera Balkans hopes to fill the void for a regional news broadcast. 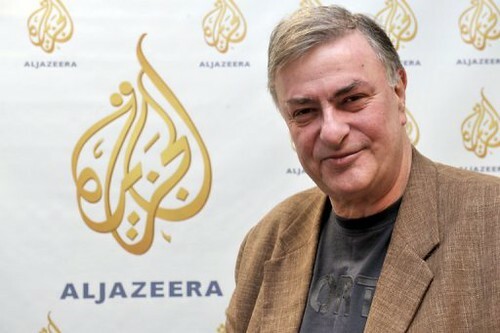 “In the region there are currently more than 100 stations that broadcast news,” said Goran Milic, 65, a prominent Croatian journalist who will be responsible for Al-Jazeera’s Balkans operation. “We cannot compete with them on the level of local news and won’t be able to for a long time,” he added, Instead, he said, Al-Jazeera could offer the regional approach abandoned in the 1990s due to war and the emotions that it sparked. In the 1990s, the former Yugoslavia broke up into six separate states (Bosnia, Croatia, Macedonia, Montenegro, Serbia and Slovenia) and the disputed territory of Kosovo. But Milic argued that many people across the region “are still interested in what is going on on the other side of the border. “No local television dares to make a regional programme treating topics relating to bordering countries, for fear of being accused of “Yugo-nostalgia,” he noted. “Our advantage will be also to compare information on an event in one country with a similar situation in an another,” he explained. Media analysts however question whether Al-Jazeera can succeed since several previous attempts over the past 16 years to set up Balkans broadcasters with support of the international community failed because of lack of interest. “They were political concepts aimed at breaking down the walls that arose during the conflicts and to push reconciliation,” Bosnian media analyst Zoran Udovicic told AFP. After 20 years of various state media repeating the official line, it is hard to get people interested in what is happening in neighbouring countries, he added. “(Al-Jazeera) can focus on the languages that are similar or the same and even on the feelings that people still have about the (Yugoslav) period before the wars … but they will also need to work to spark people’s interests in their neighbours,” Udovicic said. Al-Jazeera’s best bet, he noted, would be to steer clear of the war-torn past and focus its programming on the present and the future of the region. Serbian journalism lecturer Zoran Cirjakovic also saw problems ahead for the Balkans branch of the Qatar-based company. “The audience in various parts of the Western Balkans has a different understanding not only of the past but also of the present,” he warns. “The audience in all countries (in the region) have radically different interests in political topics,” he told AFP. “They are more easily united in topics like art, culture and entertainment,” he added, citing examples of successful regional entertainment such as music and reality shows. “My students, born in the late 1980s or early 1990s do not remember Yugoslavia… for them it is another planet, another world,” he explained. So Al-Jazeera Balkans will be put to the test when it starts broadcasting in what was once called Serbo-Croat, which is universally understood in Croatia, Serbia, Bosnia and Montenegro. Together with Al-Jazeera Turkey, it will be one of the first regional offices to broadcast in languages other than Arab or English. The Pan-Arab channel has invested more than 20 million dollars (14 million euros) in the Balkans project. Initially launched in 1996 as an Arabic news and current affairs satellite TV channel, Al-Jazeera has since expanded into a network with several outlets, including the Internet. Al-Jazeera Balkans will employ some 100 people, including around 60 journalists and cameramen. 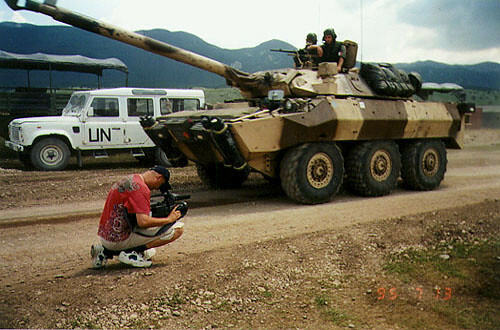 It will have correspondents in all the countries that once made up the former Yugoslavia and in several world capitals. And it will tap a regional audience of over 20 million people as well as an important diaspora from each of the six former Yugoslav republics, particularly in Western Europe. I don’t think they’ve figured out what satellite they’ll be on. Al-Jazeera is carried by quite a few satellites around the world, but they’ll likely select one that’s popular in the Balkan region. However, the either Astra or Eutelsat would be be a good choice as well. This entry was posted on Tuesday, March 29th, 2011 at 9:26 am	and is filed under Satellite TV. You can follow any responses to this entry through the RSS 2.0 feed. You can leave a response, or trackback from your own site.